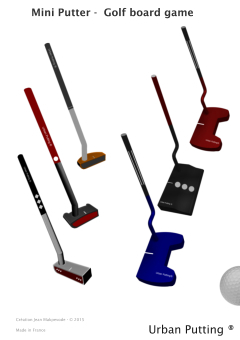 UP model 44 and its series of mini - putters. Golf is a game of target, here, scaled down on a smart green measuring 44cm x 44cm or one meter in diameter and which strives for temperament. 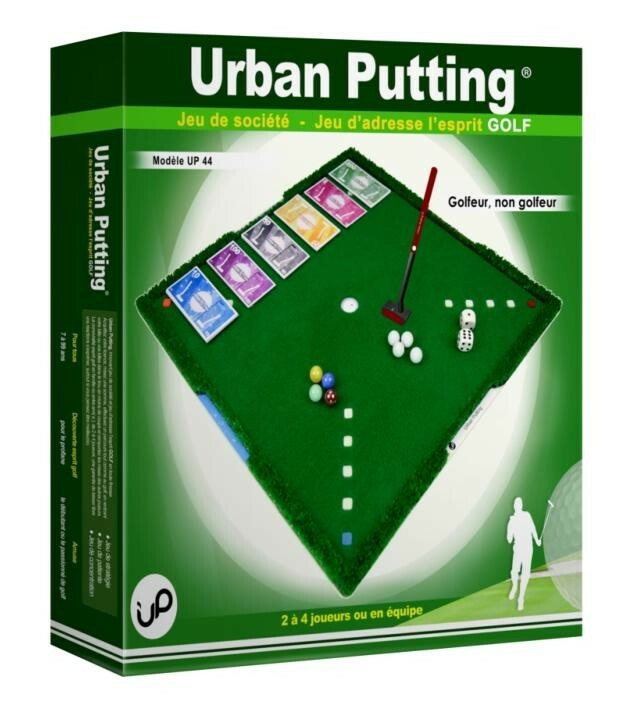 Urban putting is played with a miniaturised putter held like a pen to push the marble(s) or ball(s) into the central hole, just like in golf, but in the least possible strokes, and according to the difficulty of the game chosen. 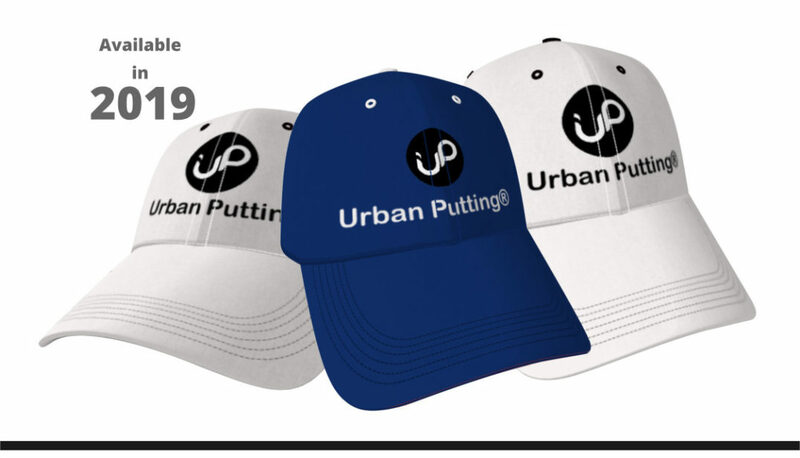 The strategy of setting the marbles or golf balls in line with the version, PAR management and stroke accuracy are all intellectual features that Urban Putting broadens. The concept that in golf courses people uses club to hit the ball becomes commonplace in the mind of the lay person, entertains the beginner and the passionate person. Models and concept suitable for a safe use at home, at the office, in an urban setting, at events and in restricted spaces. 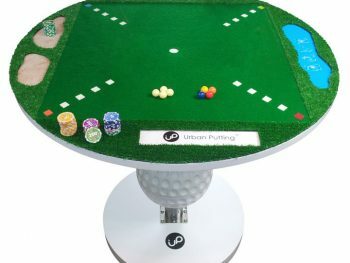 It’s a funloving game of golf ardour for pubs, live sports, club-houses and games rooms. Board game of expertise, a distinctive verve for golf. 2 to 4 players compete putting at stake notes / game chips. 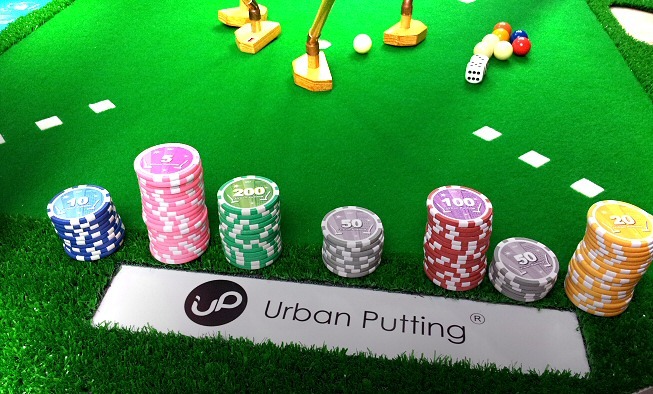 Urban Putting – Golf, let fun be at the heart of your entertainment and eventful times.